I cannot tell you how excited I am to share this activity with you. My daughter just loved it! 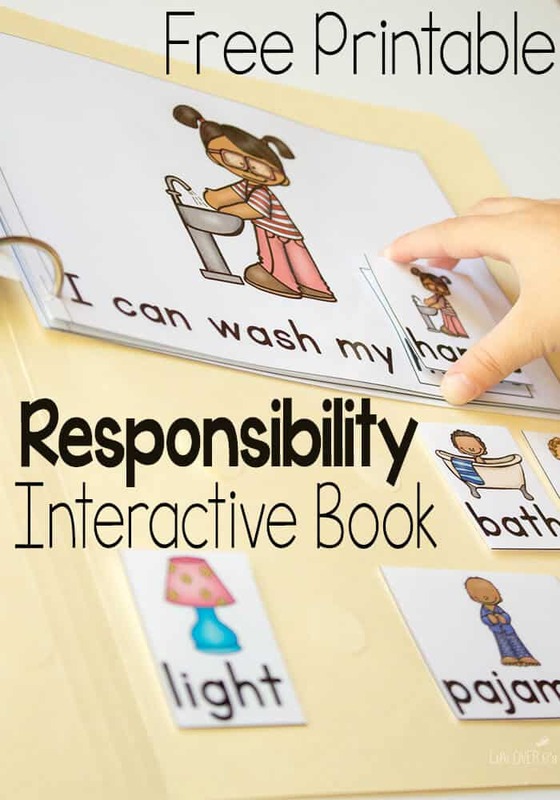 Teaching responsibility for preschoolers is super fun with this free leveled interactive book and memory game. Shiloh had so much fun with the book that we read it a few times the first day. Hubby was wishing that we had gotten a video because she was so enamored by it. 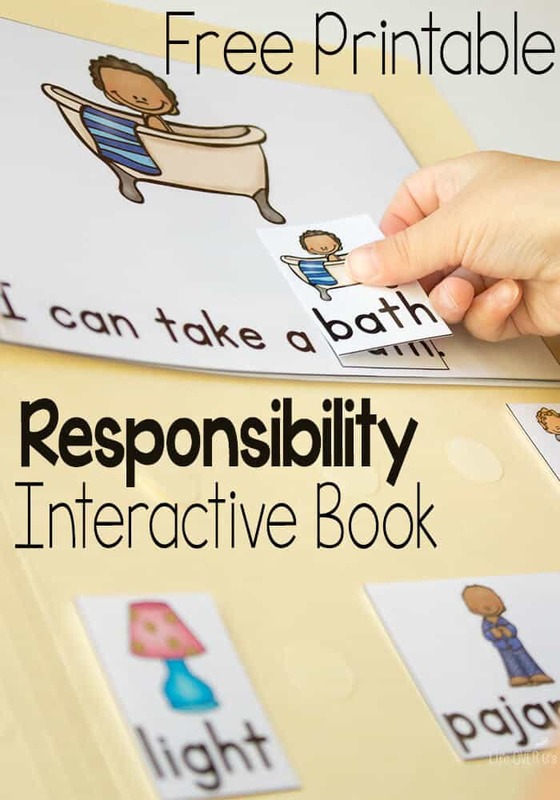 Be sure to get the book, free memory game and check out all the other great ideas for teaching responsibility to preschoolers from the #TeachECE team. Directions for assembling the file folder are included in the download, so I won’t write them all here. I love this book because it gives Shiloh something to do while we read to her. This is a common thing in special education activities because it can be difficult to keep kids engaged in an activity if they are required to just sit and listen. We read each sentence and then asked Shiloh to find the matching picture. 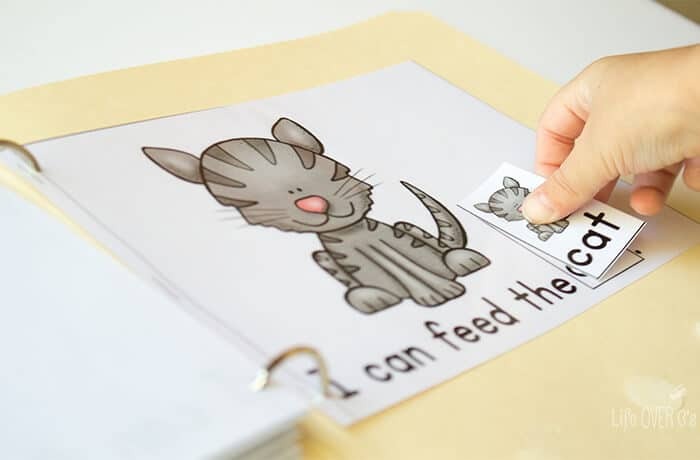 Every page contains an “I can…” statement to show what a child can do each day. Lots of great opportunities for your child to interact with book! You can take out any pages that don’t apply, like if you don’t have a cat or a fish. We included them for the vocabulary practice and she wasn’t bothered at all. 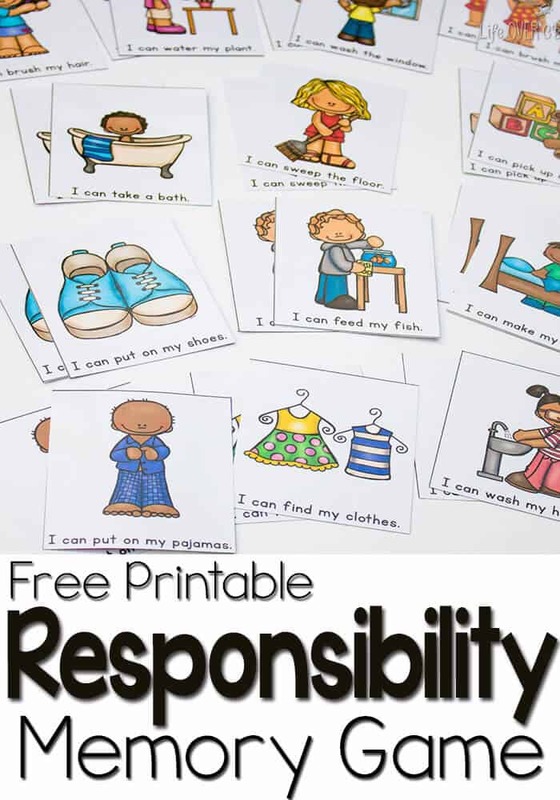 Get the Free Printable Responsibility Memory Game Here. I love, love, love these resources. I especially love that they can be adapted to fit the needs of so many levels. I’m glad that you like them! What a great emergent reader to teach responsibility. Combine it with the matching game for reinforcing positive behaviors! Will be doing soon! I love your interactive book and memory game. 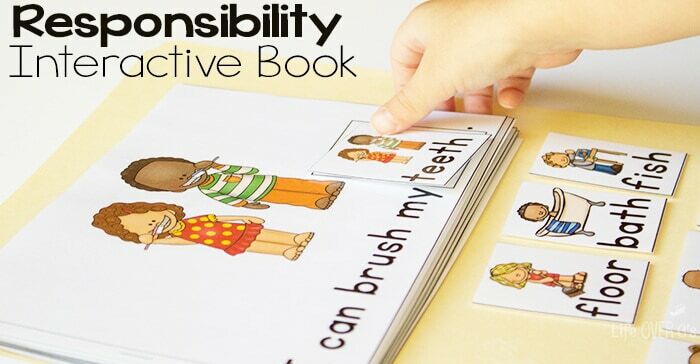 It is a great resource for teaching responsibility, reading and memory skills! Thank you! I’m glad that you enjoyed them. We’ve used ours a lot already. What a great resource for increasing vocabulary! Thanks! She pulled it out again first thing this morning. I absolutely love this! Totally printing and using with my kiddos! I love your products and activities! Thank you for creating and sharing great resources! 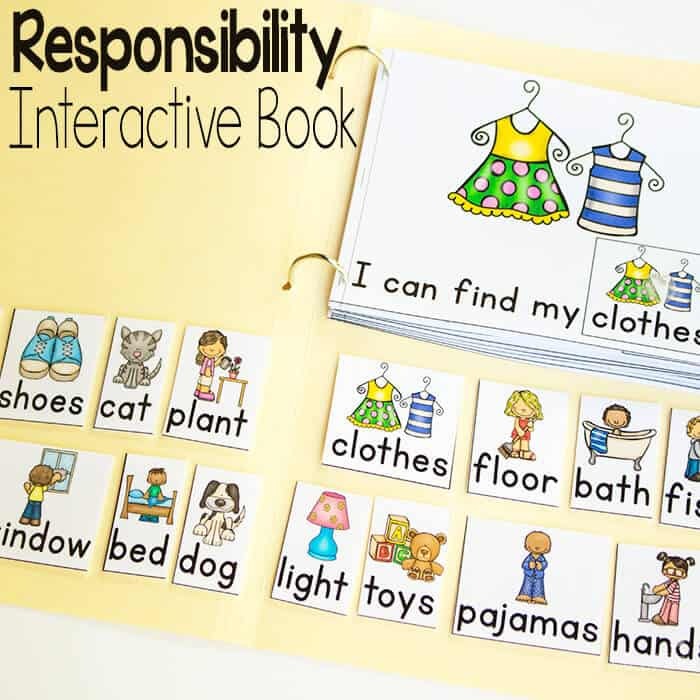 I love this printable matching game for encouraging literacy and RESPONSIBILITY! Great idea, Kim! I have never had that problem with any projects, so I’m not sure what would cause that. I do know that it is not the formatting of the file for sure. Make sure that you have “scale to fit” checked in the print dialogue box. Really great and wonderful materials! Thanks so much!